In the wake of faltering mainstream gaming sales, Facebook gaming has exploded in popularity, shocking game designers. In a year where most gaming companies struggled, Facebook games grew by leaps and bounds. 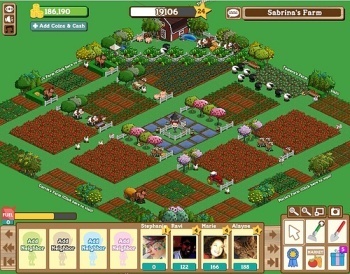 The most popular Facebook game FarmVille by producer Zynga has over 79 million monthly active users - more than Twitter's entire userbase. Much like the advent of Guitar Hero and Wii Fit these new Facebook games totally blew traditional game developer expectations out of the water, Schell said. These new approaches to gaming could have a huge impact on how developers make games. Schell predicts the methods social networking sites like Facebook ingratiate themselves into a person's everyday life will become more prevalent with gaming as well. Marketers, investors and even the government, Schell said, are investing in ways to capitalize on the increasing ubiquity of games in order to use them to reach more people in new ways. While this will likely lead to an even greater commercialism of gaming, Schell said, it will also give a unique opportunity to developers. Developers will be challenged to go beyond making games, Schell said, and tailor the experience to become a major part of the player's life. If this is the case, it seems a number of developers have already figured it out. World of Warcraft has been running strong for years, after all.